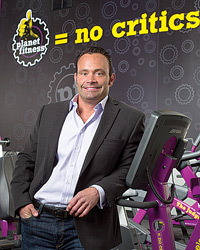 Chris Rondeau, 45, CEO of Planet Fitness, is a man who, amazingly, has had only three jobs in his entire life! And, his current role, that of CEO of Planet Fitness, looks like both the company and Chris have hit homeruns. Chris is doing a great job for his staff and the company's stockholders, and the company is performing very well. Christopher J. Rondeau, also known as Chris, has been the Chief Executive Officer of Planet Fitness, Inc. since January 2013. Chris served as the Chief Operating Officer from 2003 before he stepped into the CEO shoes in 2013. In 1993, Chris, as a young 20-year-old man, joined Planet Fitness, and he has been a partner in its business since 2003. And, he's been a Director on the Board since November 2012. Planet Fitness is a powerhouse in the health and fitness club industry with over 1,600 clubs now open, and over 1,000 new club deals inked and in various stages of development and construction. The Hampton, New Hampshire-based company employs over 200 in their Headquarters and has over 12 million members. This month, Club Insider is pleased to have had the opportunity to be in touch with Chris Rondeau and three of his key people: Craig Miller, Chief Digital and Information Officer; Candace Couture, Vice President of Franchise Sales; and McCall Gosselin, Vice President of Public Relations. I invite you to read on. Club Insider (C.I.) - Chris, first I want to express our thanks and appreciation for your time for this interview. Let's get right to it! 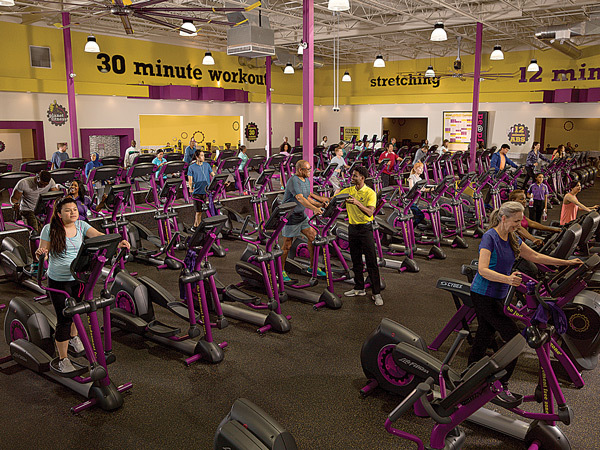 What was your background before you joined Planet Fitness? Chris Rondeau (CR) - I worked at my father's chain of family drug stores as a cashier. Before that, my first job was as a busboy and a dish washer. So, my background was really just working (chuckling). I also loved to work out. I got my driver's license at age 16, and the very next day, I joined a gym for the first time in my life. That was where the passion for fitness came from, and it turned into a career. Who would have thought!? C.I. - Well, Chris, hearing your great and amazing story, it just goes to show you that, when you have a situation like this, you can't be thankful enough, probably. CR - Right! They say the American Dream is through and through. I'm a prime example of that, I think. C.I. - WOW, Chris, what a remarkable and really, beautiful story. Good on ‘ya! Chris, you're truly living the American Dream! 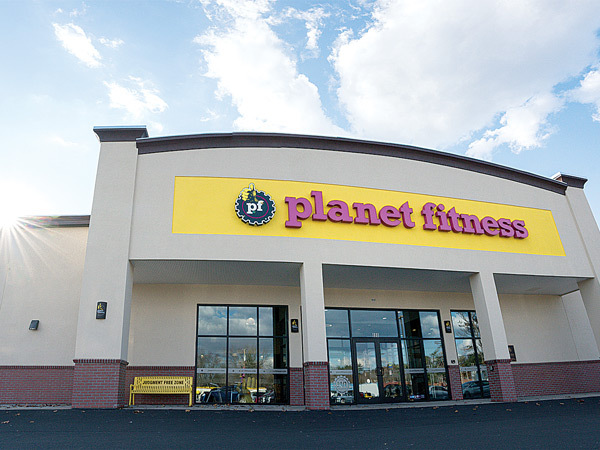 So, when and how did you get involved with Planet Fitness? CR - Planet Fitness was only my third job, and I was just 20 years old when I started. I got involved 25 years ago, the year after the Founders, Mike and Marc Grondahl, started their first gym over in Hampton. I had moved to New Hampshire to go to the University of New Hampshire, and I started working out at the gym the year they bought it. It was a Gold's Gym before they bought it. You know... it was back in the old days where a ‘typical' gym had the 120-pound dumbbells, the Olympic benches, squat racks, aerobics classes, day care, protein powder... We were a typical gym. I started working there at the front desk.